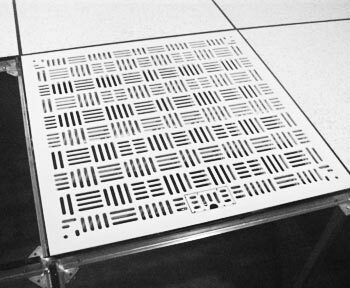 Access floor systems were designed to be a delivery method for getting cool air from AC units to IT hardware. In the past, this component of the data center was considered a commodity item. With the trend to higher rack densities, it has become imperative that floor systems have proper weight capacity and can deliver sufficient air flow. 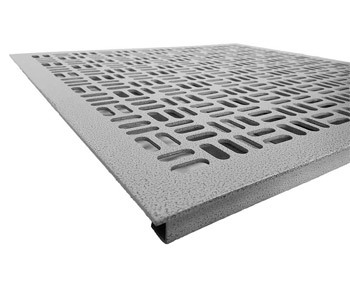 Our access floor systems target those specific areas. Through a combination of unique product offerings and experience, our solutions can meet your demanding needs for new and existing flooring projects. 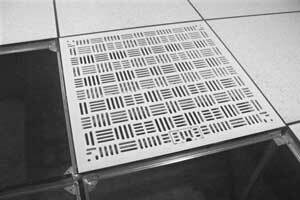 For example, our high flow tiles provide more than twice the CFM of standard peforated tiles. In addition, we can provide replacement tiles for your existing raised floor system. Even if you do not know the type of floor system you have, our cooling specialists can determine that with just a few digital photos. We can then provide solid or perforated tiles that fit perfectly and match your existing color.